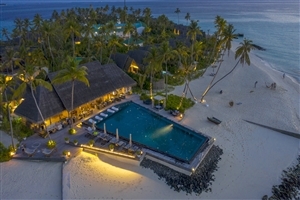 Located amongst the shimmering water of the Lhaviyani Atoll, Fushifaru Maldives invites travellers to indulge their senses on the holiday of a lifetime. 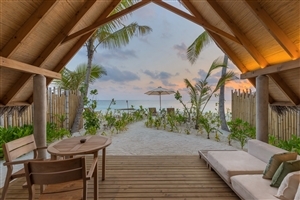 Only 35 minutes seaplane journey from Velana International Airport, this oasis is ideal for romantic getaways, with each of the 49 villas granting gorgeous views of sunsets, sunrises and unforgettable channels. 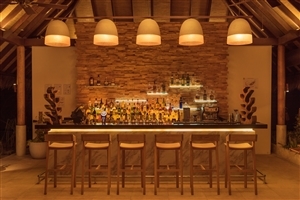 Dine fine at the in-house eateries and bars, explore the world beneath the sea on a diving expedition and soak up some in style at Fushifaru Maldives. 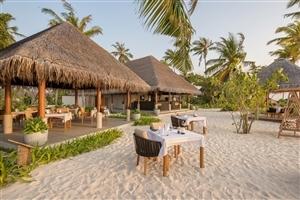 Soft sands, shimmering waters and world-class comforts await you at Fushifaru Maldives; an intimate getaway that is sure to impress. 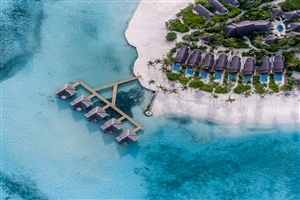 Situated in the Lhaviyani Atoll, a 35 minute seaplane ride from Velana International Airport, the island brings the splendour of the Maldives to the fore, giving guests the opportunity to uncover the beauty both on land and beneath the sea. 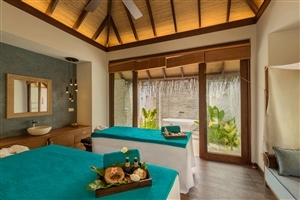 Whether you're looking to soak up some sun from your private veranda, enjoy an intimate dining experience or relax with special spa treatments, Fushifaru Maldives is sure to leave a lasting impression. 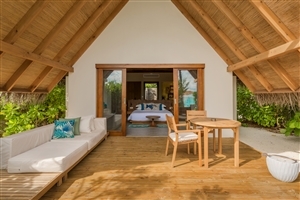 The Beach Villa Sunrise offers guests 96sqm of accommodation space beautifully designed with modern comforts and conveniences alongside Maldivian touches to create a truly stunning setting. 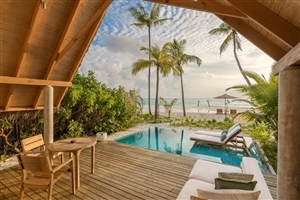 The villa features a private veranda that grants views of the sun rising over the horizon for an enhanced occasion. 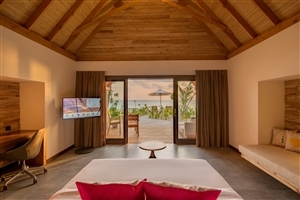 The Beach Villa Sunset offers guests 96sqm of accommodation space beautifully designed with modern comforts and conveniences alongside Maldivian touches to create a truly stunning setting. 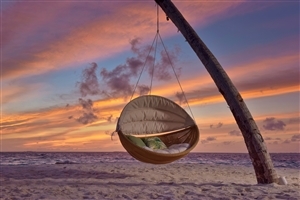 The villa features a private veranda that grants views of the sun setting over the horizon for an enhanced occasion. 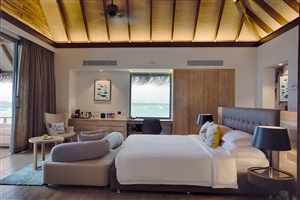 The Pool Beach Villa Sunrise offers guests 122sqm of accommodation space that grants plenty of room to roam and comes detailed with Maldivian elements. The villa features a private pool and a veranda that grants views of the sun rising over the horizon for an enhanced occasion. 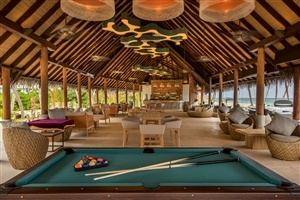 The Pool Beach Villa Sunset offers guests 122sqm of accommodation space that grants plenty of room to roam and comes detailed with Maldivian elements. The villa features a private pool and a veranda that grants views of the sun setting over the horizon for an enhanced occasion. 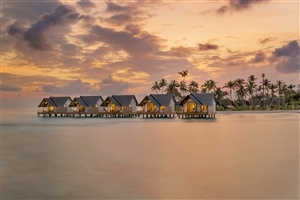 The Water Villa offers guests 95sqm of accommodation space that provide easy access to the crystalline waters of the island. 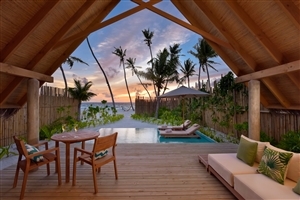 The villa features a private veranda that grants views of the beautiful Kandu-olhi channel. Korakali – Tasty breakfast buffet and international flavours. 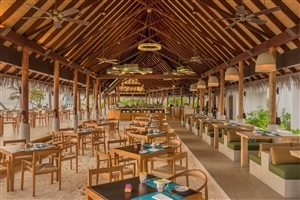 Raakani – Fresh seafood and succulent cuts of grilled meat. 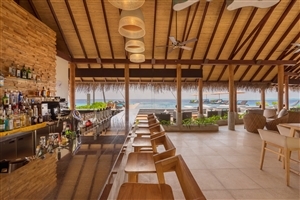 Fanihandhi Bar – Sunset views and an array of cocktails. 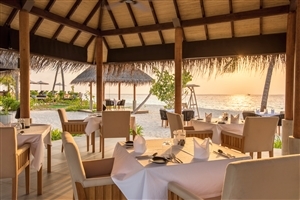 In-Villa Dining – Dine fine from the comfort of your own accommodation. 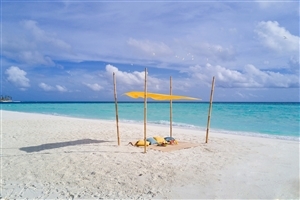 Private Sandbank – An intimate dining experience you won't forget.